Use of this web site and the materials it contains. This site is operated, monitored and controlled by B.A. Turf from its offices within the United Kingdom. This site is copyright protected. Any graphics or textual material that you copy, print or download is licensed to you for your own private personal home use only, provided that you do not alter, change or delete any copyright, trademark or other proprietary notices. Any graphics or textual material that you copy, print or download must not be used for commercial use. Any software downloaded from the site including all files and images contained in or generated by the software and any accompanying data remains the property of B.A. Turf and it retains full title to the software as well as all intellectual property rights therein. You may not sell, distribute or reproduce software or in any way alter or disassemble or convert the software to any other perceivable form. B.A. Turf makes no representation that materials are appropriate for use outside of the United Kingdom. Neither does B.A. Turf take responsibility for any material located on any site hotlinked to or from any B.A. 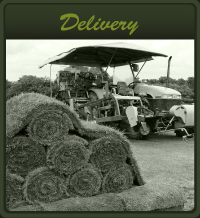 Turf website. Those who use the site from outside the United Kingdom do so on their own initiative and are responsible for compliance with local laws, if local laws are applicable. THE MATERIALS IN THIS SITE ARE PROVIDED WITHOUT WARRANTIES OF ANY KIND WHETHER EXPRESS OR IMPLIED. B.A. TURF DOES NOT TAKE ANY RESPONSIBILITY FOR THE USE OR THE RESULTS OF THE USE OF THE CONTENTS OR OTHER MATERIALS IN THIS SITE AND GIVES NO GUARANTEE THAT THE FUNCTIONS CONTAINED WITHIN THE MATERIALS WILL BE UNINTERRUPTED, ERROR-FREE, FREE FROM VIRUSES OR OTHER HARMFUL COMPONENTS. RESPONSIBILITY FOR REPAIR SERVICING AND REPAIR OF ANY EQUIPMENT USED TO ACCESS THE SITE AND ITS SOFTWARE REMAINS WITH THE USER AND NOT B.A. TURF. Any information found in this site is no substitute for proper professional advice. It should be seen as giving background information in preparation for seeking that advice. The International Property Law Centre accepts no liability for anything done or not done as a result of reading this website. When you engage in certain activities on this site, such as ordering products, downloading software, or entering contests, B.A. Turf may ask you to provide certain information about yourself by filling out and submitting an online form. It is completely optional for you to engage in these activities. If you elect to engage in these activities, however, B.A. Turf may require that you provide us personal information, such as your name, mailing address, e-mail address, and other personal identifying information. When ordering products on the site, you may be asked to provide a credit card number. When you submit personal information to B.A. Turf, you understand and agree that B.A. Turf and its subsidiaries, affiliates and trusted vendors may transfer, store, and process your customer profile in any of the countries in which B.A. Turf and its associates maintain offices. B.A. Turf collects this information in order to record and support your participation in the activities you select. If you order a product, for example, the information is used to register your license and rights, if any, to technical support, upgrade discounts, or other benefits that may be made available to registered users. If you enter a contest, information is collected to qualify the entry and contact you regarding the contest or prize awards. B.A. Turf also uses information that you provide as part of our effort to keep you informed about product upgrades, special offers, and other B.A. 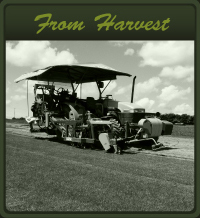 Turf products and services. B.A. Turf recognizes and appreciates the importance of responsible use of this information. If you do not want the information you provide to B.A. 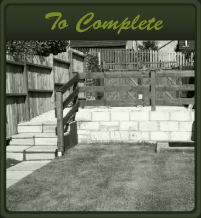 Turf to be used to inform you of other products and special offers from B.A. Turf, and you indicate this preference when you provide the information to B.A. Turf, B.A. Turf will honor your preference.